Hello all! 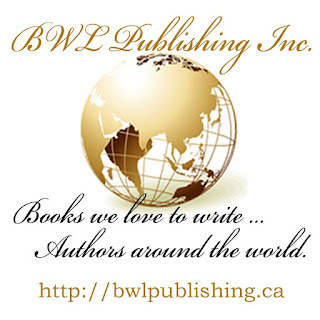 Michelle Lee - back again with some advice for authors who are writing outside of their knowledge set. Ready for it? Here I go ... it's a wonderful things called FACT CHECK. That's right! Check facts before you use them. Simple right? If you are writing a historical - you fact check. If you are not in law enforcement, and you want to write a suspense story - you fact check. Right? Right - I know you do your due diligence and the absolute best you can. Yet sometimes common misconceptions still slip in anyways. Right? Come one, we know they do. I think part of the reasons why so many slip by us, to grind on other people's nerves, is that we have so very many misconceptions in our common culture. Especially when it comes to certain topics. Now what got me going on my pet peeve tangent here? 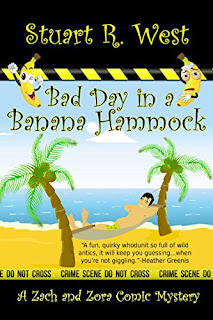 Well - despite the whole knowing you need to fact check when it comes to historicals, and suspense, and all the other various genres - a lot of writers seem to miss the concept when it comes to the basics of biology and, gee, science. Why? Probably because of an honest belief they have a handle on it. As a biologist however - they jump out at me and can truly ruin a good story. 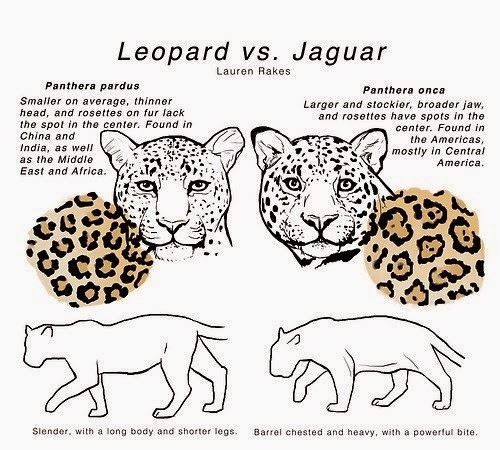 Today I am going to focus on the big cats. Why? Because of some of the shifter stories I have read recently (which is what resulted in this post). There is no such thing as a species called a black panther. 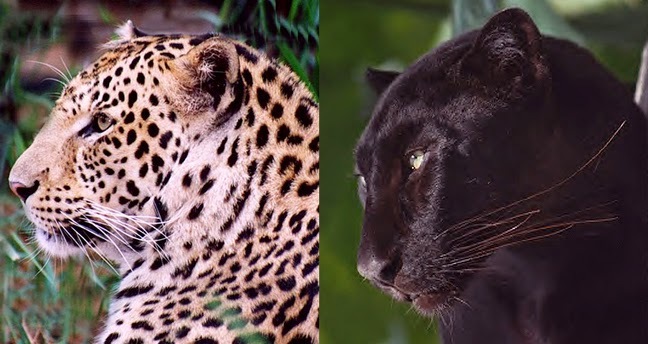 It is instead a collective term for a big cat with a genetic caused melanistic (or pigment coloration of black) cat. (This is not however what causes black household cats - I am talking only of the big cats). 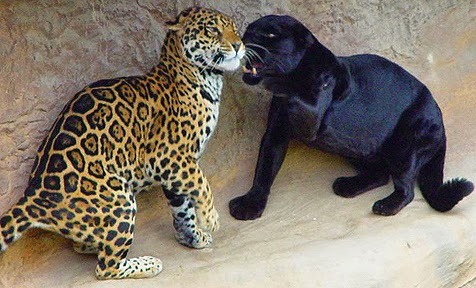 A Black Leopard and a Black Jaguar - depending upon which species of cat you are referring to. 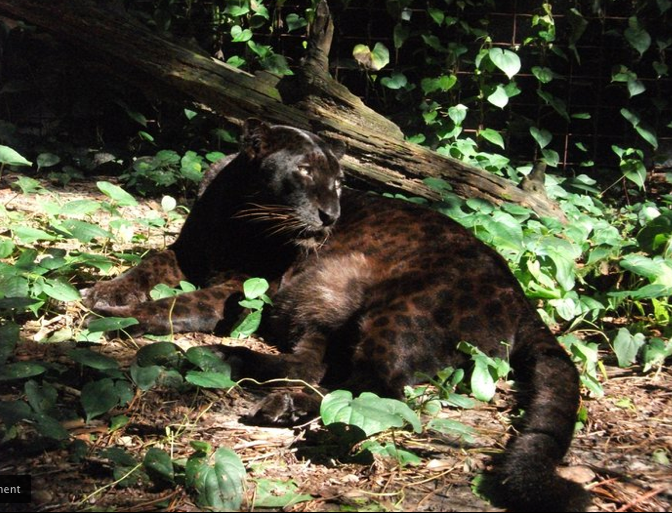 Let's start with a black leopard. Now for the black jaguar. Well in their normal coloration, it is easiest by comparing their size, facial structure and their spot patterns. 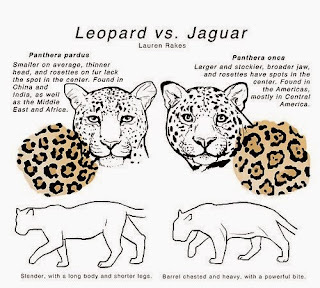 Jaguars are a little stockier than leopards, Their faces are fuller, but have a more streamlined jaw. A common misconception with the black leopards and jaguars is that they lacks spots. But it you look closely, you can still see them. Just like their normal colored counterparts, their spots are also different - even though both have rosettes. 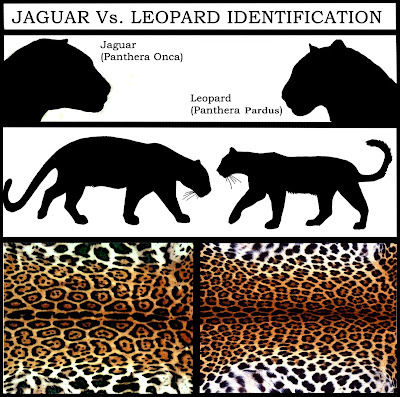 With a jaguar, there is an additional black spot in the middle of the rosette that is lacking in the leopard spots. Here are a couple of info-graphics for comparison. 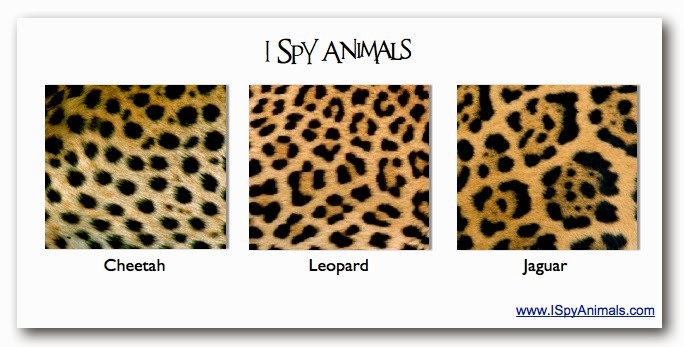 Here's a chart with a Cheetah's spots for comparison. 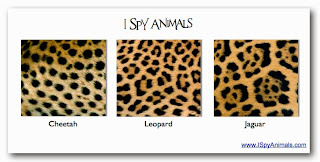 So if you are going to write about one of the big cats that has a black coat - pick one! Jaguar or Leopard. A white tiger is not the same as an albino tiger. There is a normal pigmentation to tiger, resulting in a orange-brown color or cinnamon with a black strip pattern. Then there is a mutation that results in the lack of the orange-brown-cinnamon pigment, while the stripes of black are still present. This results in a white tiger or in some cases a snow-white tiger, and it is only found in the Bengal species of tiger. An albino tiger is one who lacks all melanin, resulting in a lack of pigmentation. Quick way to tell? Presence of black stripes and those gorgeous blue eyes. Albino tigers have no pigment at all - so they lack stripes and their eyes are red or pink. This is a goo side-by-side composite image. 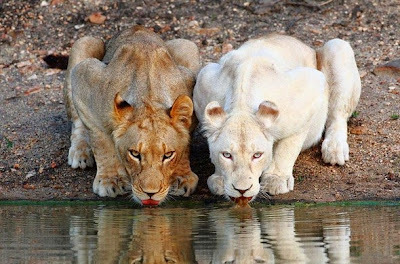 First is the normal pigmentation, then the white tiger, and finally an albino tiger. The same is true for lions. They can have a normal coloration, a 'blond' coloration, or be albino. The blond-white does not mean albino. Pictured here is a normal colored lioness and a white/blond lioness. Notice the eye color and hints of pigmentation, especially in the ears - not an albino. What about a black tiger or lion? So far, there have been no reputable reports of black lions. There is one photoshopped image that keep floating around. But when you consider the habitat of the lion, it makes sense that if there was a gene for melanism, it would quickly be selected against. So while at this time it is considered to be possible, it has not been documented by a reputable source. As for black tigers ... that is the results of a pseudo-melanistism, where the black stripes are so close together, they appear to be melanistic, but are in fact, not. They have the normal orange-brown or cinnamon pigments, it is just expressed in small bands. Well that conclused today's pet peeve and science lesson. So what is the take home? Simply put - just because it is part out our common culture does not mean it is correct. So due your due diligence and fact check - even if you think you understand it.